One of Peak’s Genius 1024 nitrogen generators has been installed in the 53ft long advanced mobile laboratory, as a safe, convenient on-demand nitrogen source for the lab’s Sciex Qtrap 6,500+ mass spectrometer. This will enable the laboratory to offer truly mobile analytical testing services to licensed cannabis producers across Canada who value the ability to carry out in-process testing in cannabis cultivation. 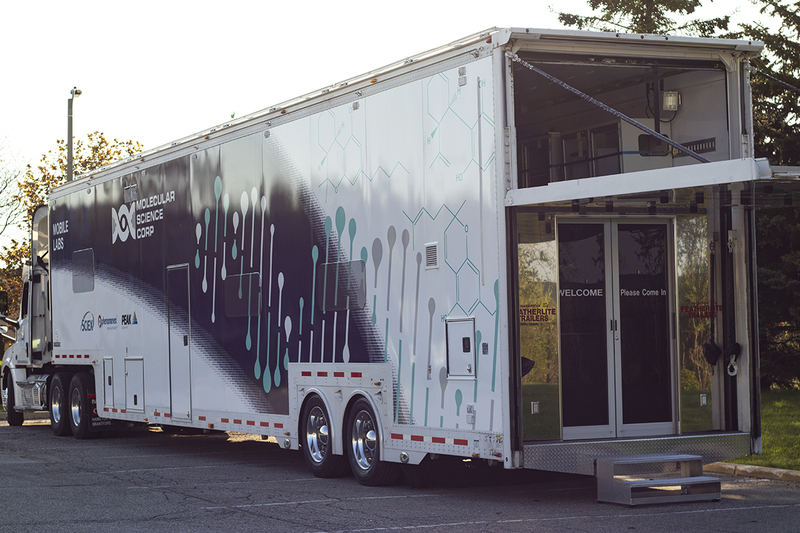 The mobile laboratory will enable MSC, a leading Canadian laboratory services company, to provide licensed cannabis producers (LPs) and oil processors with QA/QC testing and data-driven business intelligence at point of need. These are resources that provide efficiencies to both the seed to sale process and overall R&D of the analytical testing workflow. As well, with its mobile lab MSC will provide LPs the tools necessary for informed compliance with Health Canada’s regulatory requirements.